Ignatius Fitzpatrick is an Irish illustrator based in Co.Clare. His work focuses primarily on character with its style born of a passion for vintage animation and illustration. 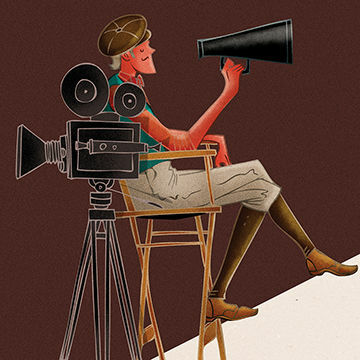 It has been used in editorials, packaging and poster art - anywhere that seeks a classical aesthetic with a modern twist. When he is not obsessively drawing characters, Ignatius is obsessively drawing other things, including his first picture book for children. He lives with his wife, two daughters and a pair of goldfish called Sparkles Unicorn & Goldilocks Bubbles.